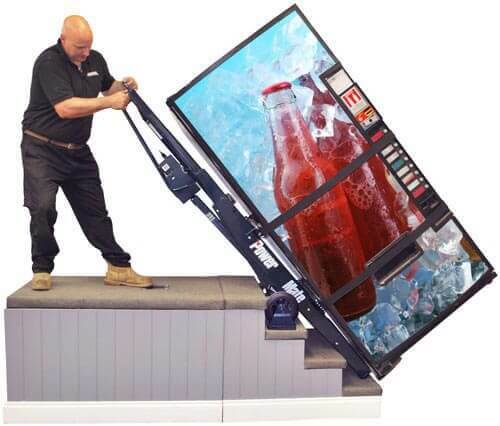 Moving and delivering white goods is a focal point for many firms and industries across the UK, and with every passing second a new fridge, washing machine or oven are delivered to an expectant customer. They’ve likely been communicated a time slot, and are closely watching as the delivery staff arrive. A lorry or van usually turns up, the good is manoeuvred to the lift at the rear and it’s brought down to ground level. This all looks very professional, but then the next part of the process can be complicated. 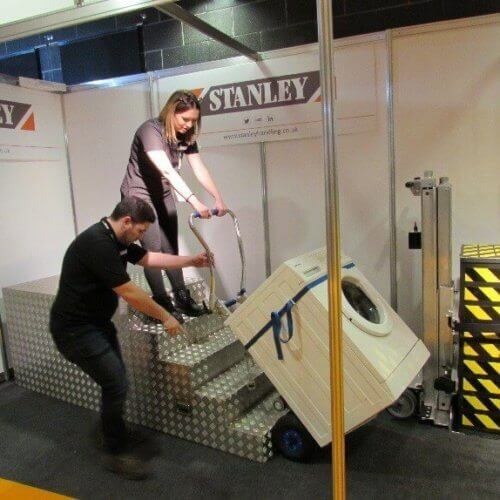 The product needs to be manually handled and in the case of flats and apartments, there may be a lift but if not, then the delivery team will need to transport the loads up the stairs. Within this process there are risks which relate to staff safety and damages to product and property. 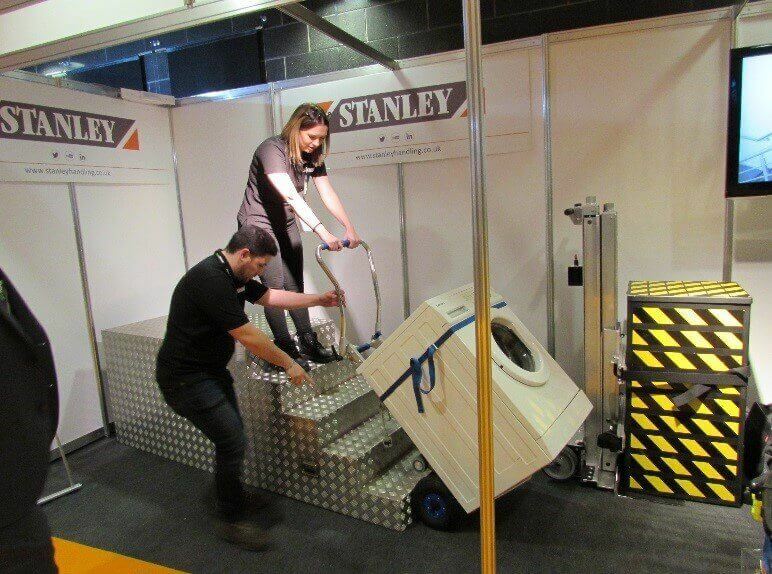 With this is mind, Stanley puts forward our range of stairclimbers to provide a better solution for transporting white goods. The first stairclimbing solution we present that’s ideal for the movement of white goods is the Sprinter. 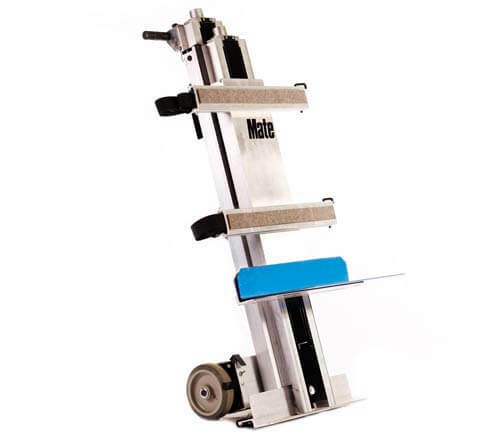 This is designed to easily handle smaller items such as washing machines, with a weight capacity of up to 170kg. 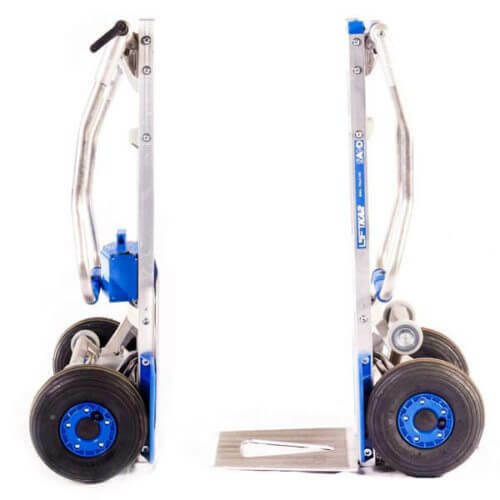 Not only is it lightweight, but portable which make it an ideal solution for the job. 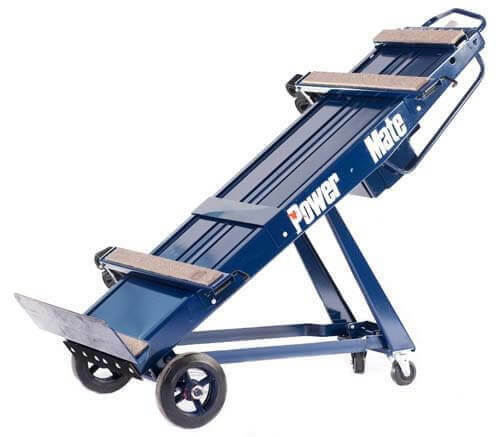 For heavier objects, we recommend the PowerMate series. 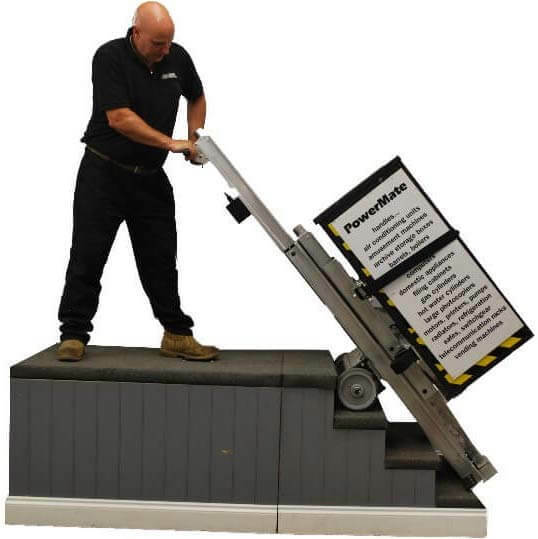 The PowerMate series possesses the ability to haul up to 680kg up and down stairs, which mitigate the stresses and strains faced by the workforce and contribute to the overall image of professionalism too. Some models are fitted with a moveable toe plate, which make it possible for the operator to place white goods onto surfaces if required.